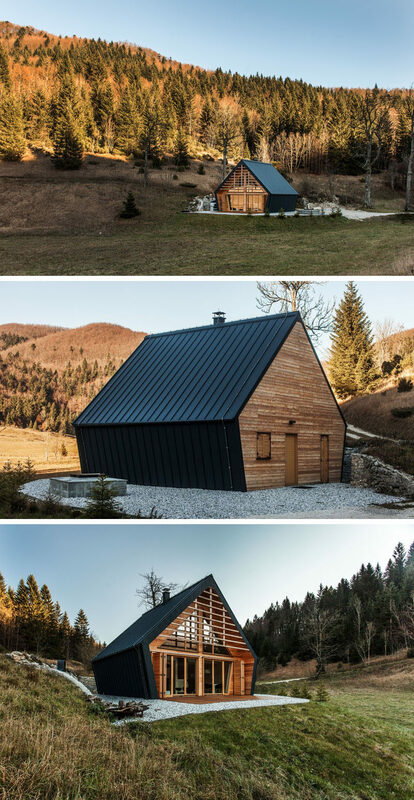 1. studio PIKAPLUS have designed this small two bedroom house surrounded by woods in Slovenia, that has an exterior of black siding and a softer light wood interior. See more photos of this project, here. Designed by studio PIKAPLUS. Photography by Miha Bratina. 2. 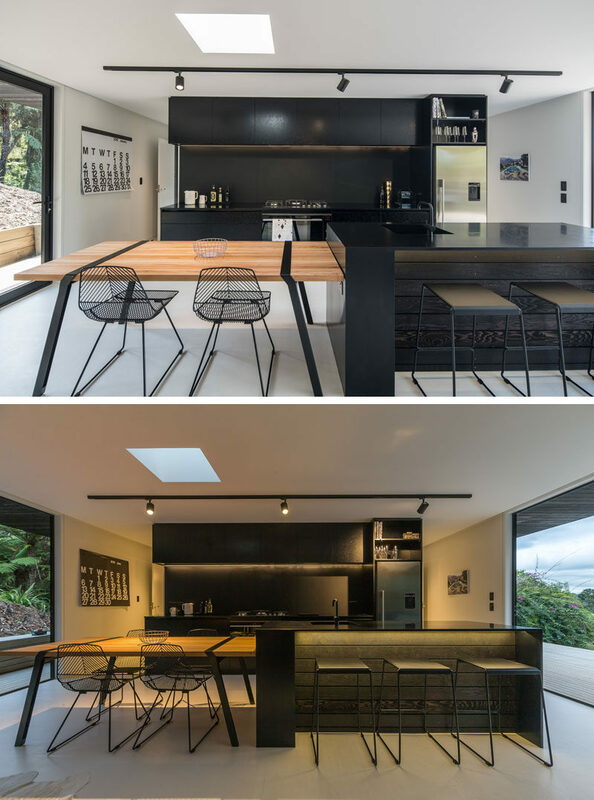 This modern black kitchen has a large island with a wood dining table at one end. Black accents like the chairs, table details and track lighting have also been included. See more photos of this project, here. Designed by Evelyn McNamara Architecture. 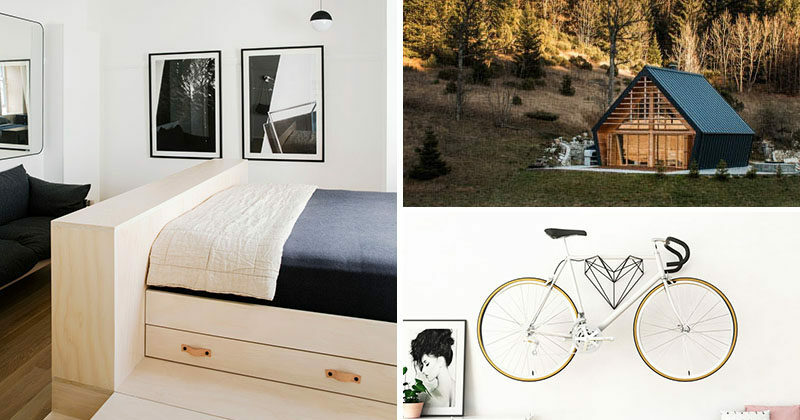 Photography by Jeremy Toth (top photo) and Archipro / Andy Chui (bottom photo). 3. Under this bed platform, there are multiple pull-out drawers for housing additional bedding and pillows. 4. 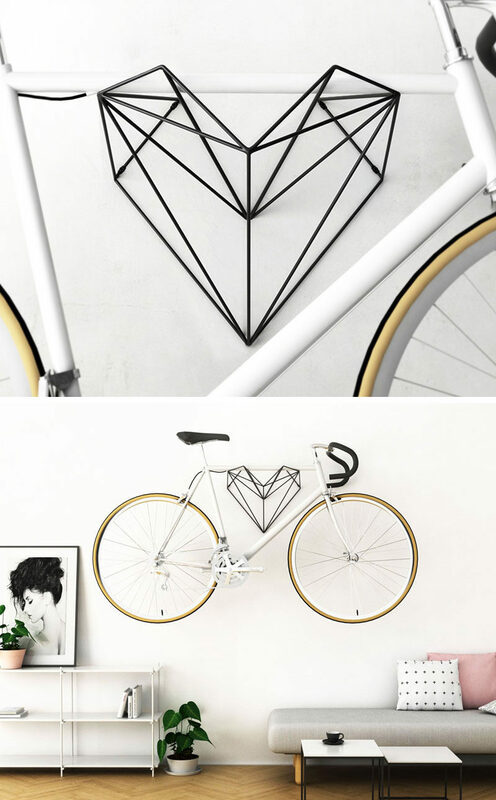 Hang Bike have created Heart, a new minimalist wall-mounted bike rack design in the shape of a heart, that that looks just as good by itself as well as when it’s storing a bike. See more photos of this bike rack, here. Designed by Hang Bike. 5. 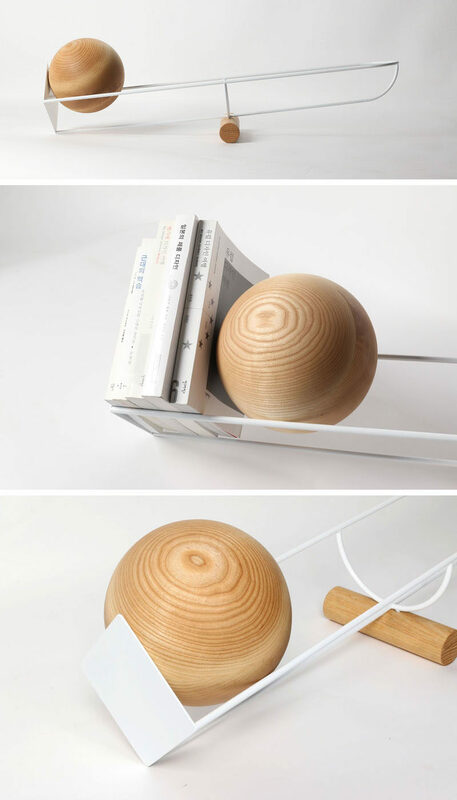 This simple and unique bookshelf is designed like a see-saw, with a wooden ball that rolls depending on where the weight on the shelf is. See more photos of this project, here. Designed by Youngmin Kang.